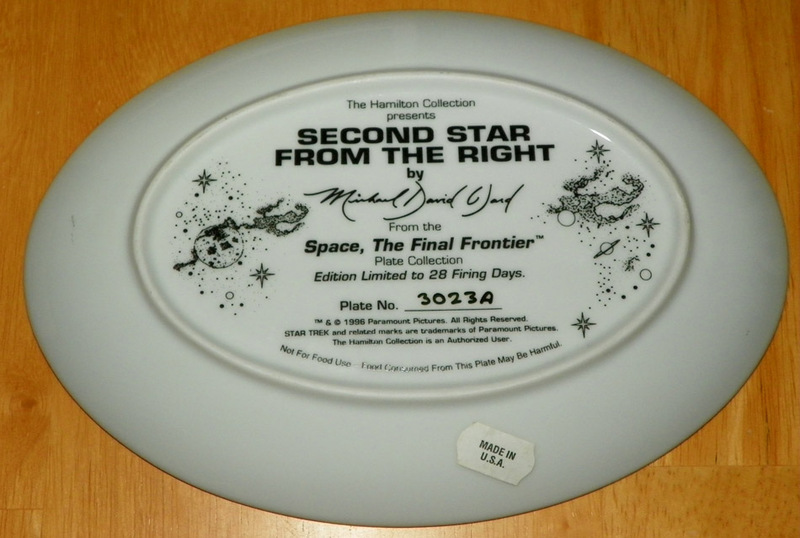 Hamilton Collector Plate Titled Second Star From the Right from the Space, Star Trek The Final Frontier collection. 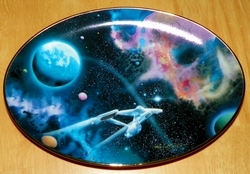 This is a unique oval plate about eight inches wide by 5 1/4 inches tall. It has a gold rim. This is a pre-owned plate numbered 3023A and was limited to 28 firing days. There is no COA or paperwork, but it is printed on the bottom of the plate.